The San Antonio Spurs and the Golden State Warriors will both meet on Wednesday at Oracle Arena. The Warriors struggled to find enough energy to compete in two games at home after a long road trip. They managed to split the two. Tonight they will try to secure a winning three-game homestand. The Warriors will play three of five at home leading up to the All-Star break as they try to build momentum for the stretch run. TV: 10:30 p.m. 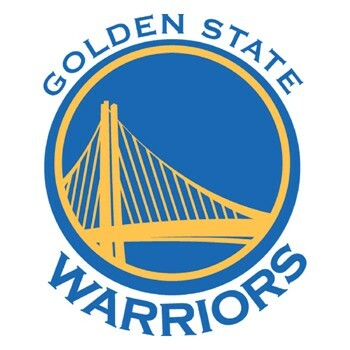 ET, ESPN, KENS (San Antonio), NBCS Bay Area (Golden State) LINE: Warriors -14.5; O/U: 232. Golden State swept a five-game road trip and was enjoying an 11-game winning streak, then the 76ers struck. The Warriors fell 113-104 at home on Thursday. They needed an injection of energy in the form of a DeMarcus Cousins dunk on Saturday before pulling away for a 115-101 victory over the Lakers. The Spurs were enjoying a five-game winning streak before beginning the annual rodeo road trip with a 127-112 loss at the Sacramento Kings on Monday. San Antonio has seven stops left on a road trip. The trip spans the All-Star break and includes trips to Portland and Utah this week. The San Antonio Spurs are 32-23 overall on the season. San Antonio went 2-4 on the rodeo road trip last season. They also got off to an inauspicious start this year while allowing its most points in a loss since falling 139-105 at Utah on Dec. 4. The Spurs allowed the upstart Kings to shoot 55.6 percent from the floor. The Spurs were outscored by 11 points in the second half. One positive was an offensive breakout from guard DeMar DeRozan. He scored 24 points on 10-of-15 shooting after going 8-of-26 from the floor in the previous two outings. The Golden State Warriors are 37-15 overall on the season. The biggest challenge over the final two months of the regular season will be getting Cousins up to speed. He missed the first 45 games recovering from Achilles surgery. The 28-year-old is averaging 14.4 points on 43.6 percent shooting in seven games. Kevin Durant is 4-of-23 from 3-point range over the last five games.